Nominations for the 2013 Cram Lehn Pedersen prize to be awarded at ISMSC-8 in Crystal City, Virginia, USA, will open later in the year. Stay tuned to the ChemComm blog for details. 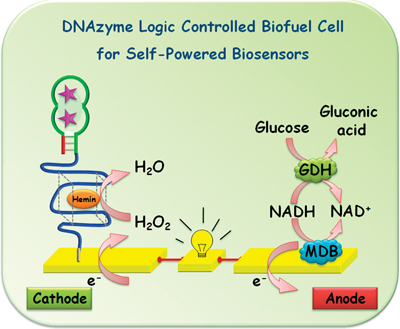 US scientists have made the first DNAzyme-controlled biofuel cell, an important step on the road to self-powered medical diagnostics, they claim. Biofuel cells (BFCs) use enzymes or microbes to oxidise fuels. Integrating them with logic-based biosensing systems provides a way to correlate the relationship between multiple target analytes in complex samples according to Boolean logic (which uses AND, OR and NOT operators) without the need for external power. Joseph Wang and colleagues at the University of California, San Diego, used DNAzyme-based biochemical signals to control the power output of a BFC. DNAzymes are biocatalytic nucleic acids that are widely used for biosensing but have never before been used to control a BFC. Wang demonstrated that the biosensor can determine the presence of a specific target in the absence of another related target in a single test. While this is a proof-of-concept study, Wang says that self-powered diagnostics may be realised if pathologically relevant targets were applied to the BFC. Read Wang’s ChemComm communication, free for a limited period. Don’t miss out on the ChemComm–RSC Prizes & Awards Symposium in association with the RSC Analytical Division! The purpose of this event is to bring together scientists in a stimulating and friendly environment to recognise the achievements of individuals in advancing the chemical sciences and also to foster collaborations. The symposium will appeal to academic and industrial scientists with an interest in analytical science, protein structure and interactions, and biosensors. 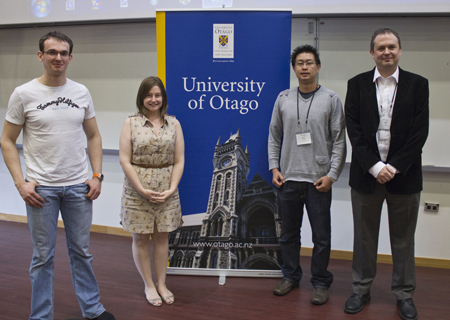 Attendance at the symposium is FREE OF CHARGE and student participation is strongly encouraged. For further details and to register your interest, please contact Anne Horan. Southampton chemists, lead by Richard Whitby, have completed the first total synthesis of the marine metabolite mucosin. As the synthesis is enantioselective (they made the (+) enantiomer), the team were able to determine the absolute stereochemistry of the natural compound (the (-) enantiomer), which was isolated from a sponge in the Mediterranean in 1997. Of particular note in the synthesis is the use of a zirconium-induced co-cyclisation to install the stereochemistry of the four contiguous stereocentres around the unusual bicyclo(4.3.0)nonene core. Read more about the work in their communication, which is free to download for a limited period. If you’re interested in natural products, check out Natural Product Reports, which just published its regular and popular Marine Natural Products review article. 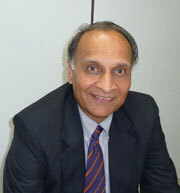 The ChemComm–RSC Prizes & Awards Symposium takes place at Imperial College London on 22nd February 2012 with the theme of (bio)analytical science. This is ChemComm‘s first UK-based symposium and to celebrate we’ve made some of our best analytical content free to access for a limited period. We hope you enjoy these articles – but don’t delay! Free access only runs until 29th February. An on the spot detector for ecstasy tablets has been made by scientists in Spain. The probe has been designed to detect the active ingredient in ecstasy – MDMA (3,4-methylenedioxymethamphetamine) – even when it is mixed with other common additives, which has been a challenge. One way to detect ecstasy is a colorimetric test, but the test is not specific for MDMA and is unable to distinguish it from amphetamine and other common phenethylamines. Another method is chromatography, which can distinguish between these compounds but isn’t portable. Now, Tomás Torroba and his team from the University of Burgos have made a fluorimetric compound that can be used to identify MDMA. ‘The fluorogenic probe may be used as an in situ test for fast detection. It only needs a small sample and can be checked with a portable ultraviolet lamp,’ says Torroba. Paul Knochel from the Ludwig Maximilians University in Munich has developed a method to directly metalate and then functionalise N-protected indazoles. Indazole heterocycles are important molecules in medicinal chemistry and methods to functionalise them are widely sought after. Direct metalation of indazoles at their 3 position is often problematic as this can quite easily lead to ring opening and formation of an aminonitrile product. Knochel overcame this problem by using a zinc reagent to form a bis-indazoylzinc compound. The bis-indazoylzinc compound reacts with a wide range of electrophiles and can also undergo arylation in a Negishi cross-coupling reaction. In general, such reactions are not possible using normal metalation reagents. Future work will concentrate on the synthesis of biologically active molecules using this methodology. If you want to find out more then download the ChemComm article, free for a limited period. You are currently browsing the Chemical Communications Blog blog archives for February, 2012.